Anne-Louis Girodet (also given as Anne-Louis Girodet de Roucy-Trioson, Anne-Louis Girodet-Trioson) (5 January 1767 – 9 December 1824) was a French painter and pupil of Jacques-Louis David, who was part of the beginning of the Romantic movement by adding elements of eroticism through his paintings. Girodet is remembered for his precise and clear style and for his paintings of members of the Napoleonic family. Self-portrait from 1824, Musée des Beaux-Arts d'Orléans. 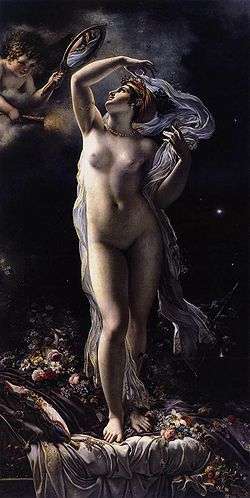 Girodet was born at Montargis. He lost his parents in early youth. 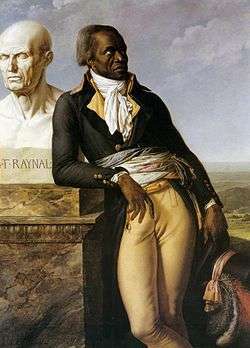 Thus, the care of his inheritance and education fell to his guardian, M. Trioson, "médecin-de-mesdames," by whom he was in later life adopted and whose surname he took in 1812. He started in school by studying architecture and pursuing a military career. 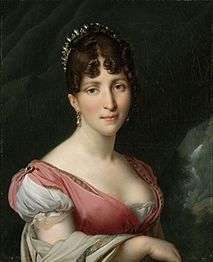 He later changed to the study of painting under a teacher named Luquin, before entering the school of Jacques-Louis David. At the age of twenty-two he successfully competed for the Prix de Rome making a name for himself for his painting of the Story of Joseph and his Brethren. From 1789 to 1793 he lived in Italy and while in Rome he painted his Hippocrate refusant les presents d'Artaxerxes and Endymion-dormant (presently held in the Louvre), a work which was praised at the Salon of 1793. 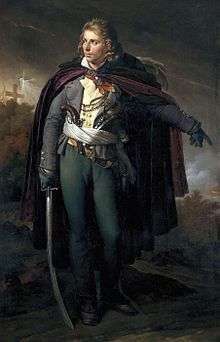 Back in France, Girodet painted many portraits, including some of the members of the Bonaparte family. 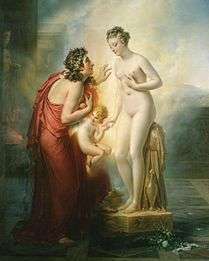 In 1806, he exhibited his Scène de déluge (Louvre), to which (in competition with the Sabines of David) was awarded the decennial prize. 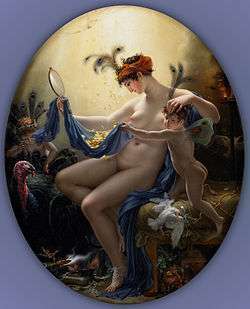 This success was followed up in 1808 by the production of the Reddition de Vienne and Atala au tombeau a work which went far to deserve its immense popularity, by a happy choice of subject, and remarkable freedom from the theatricality of Girodet's usual manner, which, however, soon returned again in his La Révolte du Caire (1810). Girodet was a member of the Academy of Painting and of the Institute of France, a knight of the order of St. Michael, and officer of the Legion of Honour. Among his pupils were Hyacinthe Aubry-Lecomte, Augustin Van den Berghe the Younger, François Edouard Bertin, Angélique Bouillet, Alexandre-Marie Colin, Marie Philippe Coupin de la Couperie, Henri Decaisne, Paul-Emile Destouches, Achille Devéria, Eugène Devéria, Savinien Edme Dubourjal, Joseph Ferdinand Lancrenon, Antonin Marie Moine, Jean Jacques François Monanteuil, Henry Bonaventure Monnier, Rosalie Renaudin, Johann Heinrich Richter, François Edme Ricois, Joseph Nicolas Robert-Fleury, and Philippe Jacques Van Brée. 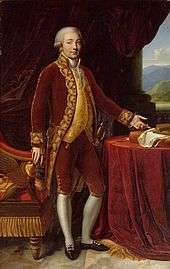 His powers now began to fail, and his habit of working at night and other excesses told upon his constitution; in the Salon of 1812 he exhibited only a Tête de Vierge; in 1819 Pygmalion et Galatée showed a still further decline of strength; and in 1824, the year in which he produced his portraits of Cathelineau and Bonchamps, Girodet died on December 9 in Paris. A sale of his effects was made after his death, and some of his drawings realized enormous prices. 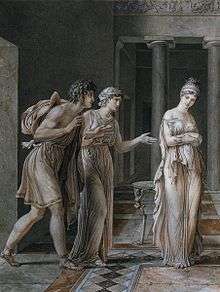 Girodet produced a vast quantity of illustrations, amongst which may be cited those for the Didot Virgil (1798) and for the Louvre Racine (1801–1805). Fifty-four of his designs for Anacreon were engraved by M. Châtillon. 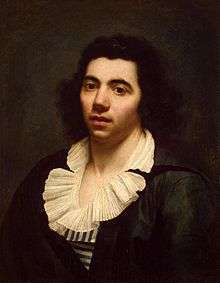 Girodet used much of his time on literary composition, his poem Le Peintre (a string of commonplaces), together with poor imitations of classical poets, and essays on Le Génie and La Grâce, were published posthumously in 1829, with a biographical notice by his friend Coupin de la Couperie. 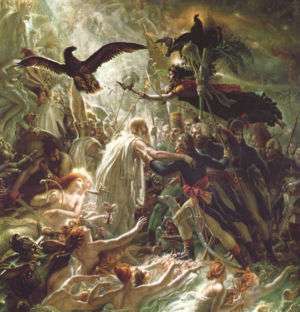 Delecluze, in his Louis David et son temps, has also a brief life of Girodet. "Girodet: Romantic Rebel" (Art Institute of Chicago, 2006) was the first retrospective in the United States devoted to the works of Anne-Louis Girodet de Roussy-Trioson. The exhibition assembled more than 100 seminal works (about 60 paintings and 40 drawings) that demonstrated the artist's range as a painter as well as a draftsman. The peculiarities which mark Girodet's position as the herald of the romantic movement are already evident in his Sleep of Endymion (1791, also called Effet de lune or "effect of the Moon"). He has a decided inclination to the ancient style, and a statuary expression is very perceptible in his works, but they are also distinguished for life, nature and beauty. His drawing is correct, and of great precision; his colouring is rich, transparent and harmonious. He works with equal care and genius. He loves to produce effect by strong lights but they are in unison with the spirit of the pieces. The same incongruity marks Girodet's Danae (1799) and his Quatre Saisons, executed for the king of Spain (repeated for Compiègne), and shows itself to a ludicrous extent in his Fingal (Leuchtenberg collection, St. Petersburg), executed for Napoleon in 1802. This work unites the defects of the classic and romantic schools, for Girodet's imagination ardently and exclusively pursued the ideas excited by the varied reading of both classic and modern literature, and the impressions he received from the external world afforded him little stimulus or check; he consequently retained the mannerisms of his master's practice whilst rejecting all restraint on choice of subject. 1 2 3 4 5 6 Long, George. (1851) The Supplement to the Penny Cyclopædia of the Society for the Diffusion of Useful Knowledge, C. Knight. 1 2 Polet, Jean-Claude. (1992) Patrimoine littéraire européen, De Boeck Université. 730 pages. ISBN 2-8041-1526-7. ↑ Heck, Johann Georg. (1860) Iconographic Encyclopaedia of Science, D. Appleton and company. 1 2 3 4 5 One or more of the preceding sentences incorporates text from a publication now in the public domain: Chisholm, Hugh, ed. (1911). 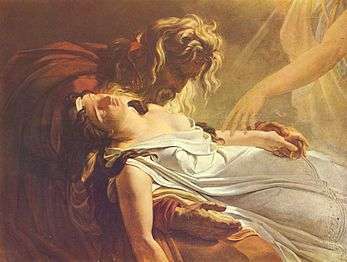 "Girodet de Roussy, Anne Louis". Encyclopædia Britannica. 12 (11th ed.). Cambridge University Press. p. 48. ↑ "Girodet: Romantic Rebel". Art Institute of Chicago. Archived from the original on 23 July 2006. Retrieved 2006-07-19. ↑ Lieber, Francis & Edward Wigglesworth & Thomas Gamaliel Bradford & Henry Vethake. (1851) Encyclopædia Americana, Mussey & Co.
Wikimedia Commons has media related to Anne-Louis Girodet-Trioson.